I’ve been thinking a lot about knowing God lately. I’m convinced that in Christianity its easy to work for Jesus but not actually understand who He is. I know this has been true for me lately. And as I’ve talked to Jesus about this, He’s continued to show me that I need to know Him like I would know a friend, not just a historical figure that I’ve memorized facts about. In that process, I feel like the Lord has invited me to read The Knowledge of the Holy . The Knowledge of the Holy isn’t an old book, it was written in 1961. But despite it’s young age, it is regarded as one of the Christian classics. It’s a short little primer on why we must press on to know God and then a number of chapters that describe different aspects of God’s character. The first couple of chapters are worth the price of the whole book. My journey with this book began in the late 90’s. I was at a meeting in Kansas City and a leader I respected a lot held up the book. He said all of their interns had read “The Knowledge of the Holy” as part of their internship. I immediately picked up a copy and delved deeply into the book. A few years later as I was transitioning out of college ministry and leaving behind a team of folks we raised up, I used it as a discussion starter to get us talking about really knowing God and the importance that had in ministry. If you hadn’t noticed yet, I’m a big fan of the book. Part of the reason is that knowing who God is is critical to our growth and perseverance in Jesus. The beauty of this book is that its both deep and accessible. In all my time of reading Christian books, this has been one of the most helpful in getting people out of knowing facts about God and helping them to know who He is. All that said, I’ve felt stirred both to jump back in this book and to invite you, my readers, to join in with me. So, starting April 1st, I’m going to be reading one chapter of “The Knowledge of the Holy” a day and then reflect on it here. If you’d like to join along, pick up a copy now and join me back here April 1st to start this journey. Join me, not just in reading this book, but pursuing a knowledge of God that fuels our hearts. 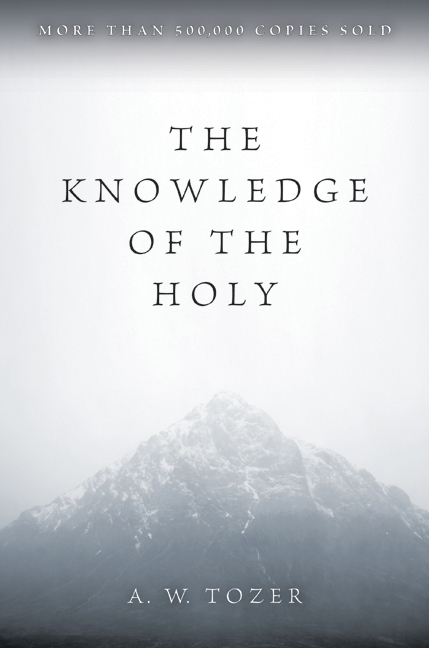 Have you read “The Knowledge of the Holy?” What are your thoughts?